DC’s faculty and staff members are committed and mature believers who are passionate about Christian education. Doing everything to the Glory of God, they are compelled to a level of excellence that imparts a contagious love of learning, the cultivation of critical thinking, and a desire to know God more deeply. External and internal professional development opportunities are a key component of the DC experience (more than 82% of our faculty hold advanced degrees), including a comprehensive mentoring program for new faculty. Our teachers value the opportunity to work in teams and enjoy learning from each other – iron sharpening iron. Of paramount importance for all is the opportunity to impact the lives of young people through the growth of intellect and faith, through relationships both in and out of the classroom, and the lasting bonds that develop within our distinctive community of learners. Delaware County Christian School is accepting applications from qualified persons to serve as a lower school educator beginning August 2019. DC’s mission is to educate students who will serve God and impact the world through biblical thought and action. We are seeking an educator who feels a calling to teach, holds a Bachelor’s degree in Elementary Education, and desires to serve in a Christian school focused on student academic, spiritual, and social/emotional growth within a culture of continuous improvement. Please check the school's web site regarding personal faith alignment and complete the steps below if you believe that we are a best-fit school for you to develop professionally, and spiritually. 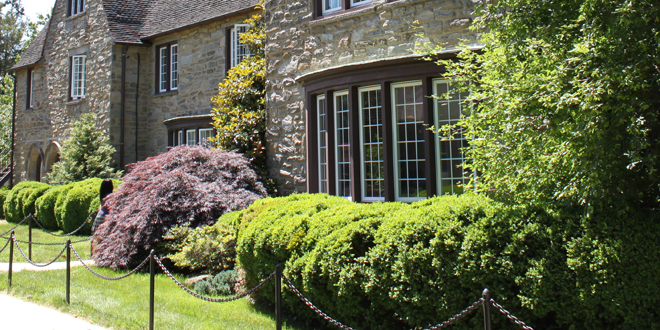 Delaware County Christian School is seeking a full-time instructor for our Lower School Student Support Services for the 2019-2020 school year. The primary responsibilities of this position will be to work with students in the lower school who are enrolled in Learning Support or who need extra reading or math help. Qualified individuals must have an active and growing personal relationship with Jesus Christ, hold a degree in special education or a Master's degree or post-graduate work in education with an emphasis in varied learning disabilities, and have experience working with students with mild/moderate learning disabilities. The candidate should be adept at implementing support/accommodation plans. Certification in Speech and Language Therapy and/or the Wilson Reading System is strongly desired. 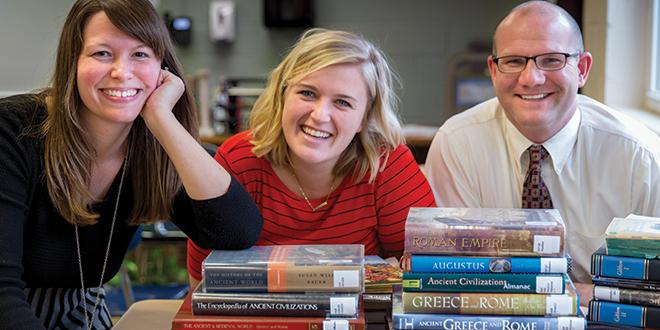 DC seeks to educate students who will serve God and impact the world through biblical thought and action. Please check the school's web site regarding personal faith alignment and complete the steps below if you believe that we are a best-fit school for you to develop professionally, and spiritually. 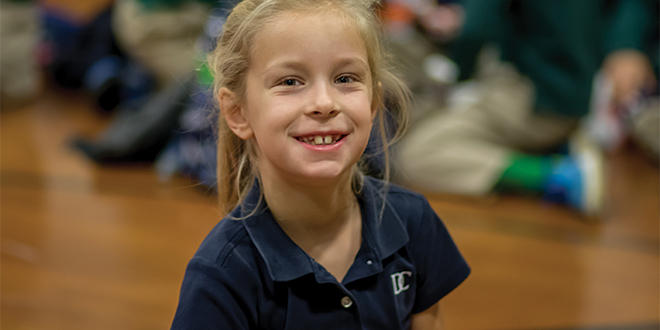 Delaware County Christian School seeks a highly qualified and committed individual to provide prevention and intervention services for students in the areas of health, social, emotional, and personal development - all from a biblical worldview. The School Counselor will work primarily with students in grades 6-12. This individual will bring specialized knowledge and insight to our team, working closely with the division heads and collaborating with faculty, parents, and other outside professionals to maintain a safe, healthy, and supportive learning environment. This role also includes an academic component focused on eighth grade students preparing for the upper school, and ninth grade students as they experience their first year of studies in the upper school. Qualified individuals must have an active and growing personal relationship with Jesus Christ. They should also possess strong interpersonal skills, take initiative, and be skilled in providing counsel to students, parents, and colleagues through professional development and research-based practices. Responsibilities: As a resource person on our staff, the School Counselor will collaborate with administrators, teachers, parents, and outside professionals to holistically support the needs of students through intentional prevention and intervention strategies. Qualifications: A master’s degree from an accredited college or university is required. PA School Counseling certification preferred. Desirable candidates will also be adept in early intervention strategies. Delaware County Christian School seeks to forward diversity through its programs and hiring. Interested applicants should submit a cover letter, a faculty application, a resume and transcripts to Janet Smyth, Assistant to the Head of School (jsmyth@dccs.org). Please include SCHOOL COUNSELOR in the subject line of your email. Please check the school's website (www.dccs.org) regarding personal faith alignment. Delaware County Christian School is seeking a Homework Club Coordinator for the Lower School beginning Fall 2019. The primary responsibility of this position is to assist students with their homework and provide an atmosphere of care and enrichment after school. The Coordinator position includes oversight of the club including registrations and accounting. If you love working with students in a small group setting and are seeking a ministry opportunity to DC families on a part-time basis, this position may afford just the right opportunity. DC seeks to educate students who will serve God and impact the world through biblical thought and action. Please check the school's website www.dccs.org regarding personal faith alignment and complete the steps below if you believe that DC is a school for you to develop personally, professionally, and spiritually. Delaware County Christian School is seeking a Homework Club Aide for the Lower School beginning Fall 2019. The primary responsibility of this position is to assist students with their homework and provide an atmosphere of care and enrichment after school. The Homework Club Aide assists the Coordinator in the daily supervision of students. Interested applicants must possess a current Pennsylvania professional RN license and a current CPR/First Aid/AED certification. 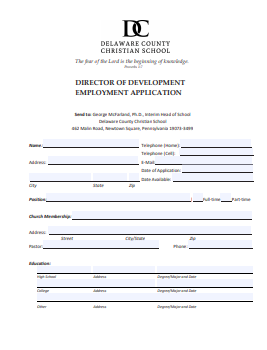 Delaware County Christian School seeks a Director of Development who is responsible for the overall development program of the school including fundraising, public relations, publicity, special events, planned giving, and alumni relations. The Director of Development reports to the Head of School. Bachelor’s degree in related field. Master’s degree is a plus. The Director of Development position is a 12-month position. Salary will be competitive and commensurate with ability and experience. All interested applicants should complete a coaching application and contact Director of Athletics, Reggie Parks at 610-353-6522 x2721 or rparks@dccs.org. Please assist the DC athletic department in connecting with qualified applicants by sharing this information with others in your communities, churches, and places of work. Thank you. GO KNIGHTS! DC Summer Programs is currently seeking qualified applicants for a number of leadership positions. If you are looking for a fun and exciting summer job, then you have come to the right place! Each of these opportunities would also serve well as an internship for college aged applicants. DC Summer Programs Day Camps are the area's premier Christian Day Camps, ministering to hundreds of campers ranging from Kindergarten age through middle school. We are seeking staff members who are committed to serving the Lord and prepared to pour their hearts into our campers. Our leadership staff are committed to supporting you in any way possible throughout your time serving with us and beyond. If this sounds like a place where you would love to serve, then take the time to review the job descriptions, prayerfully consider which position you are best suited for and fill out the application. We are praying that the Lord will bless us with an amazing staff this summer and hope that you can be a part of it! Apply online. Delaware County Christian School is looking for bus drivers to help transport students to athletic events and class trips. DC is a Pre-K through grade 12 school located on 2 campuses. This is a part-time position with flexible hours and the ability to choose trips. Qualified drivers should complete a staff application. This application can be e-mailed to Nancy Homan (nhoman@dccs.org), faxed to 610-353-6421 or mailed to Nancy Homan, Delaware County Christian School, 462 Malin Road, Newtown Square, PA 19073. Nancy Homan can be reached to answer any questions at 610-353-6522, ext. 2600. Delaware County Christian School is an equal opportunity employer. Over half of our student population is represented by females and 41% of our student body is represented by ethnic minorities. We encourage applications from groups which are underrepresented within our faculty/staff. DC admits students of any race, color, and national/ethnic origin to all of the rights, privileges, programs, and activities generally accorded or made available to students at the school. It does not discriminate on the basis of race, color, or national/ethnic origin in administration of its educational policies, admissions policies, scholarship and loan programs, or athletic and other school administered programs.